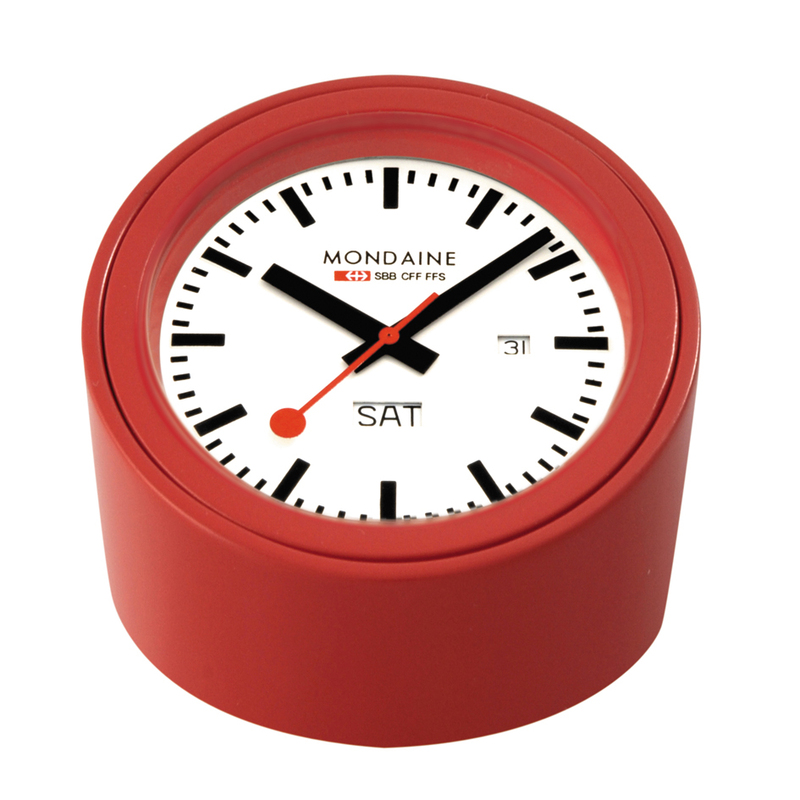 Any traveller blessed enough to have zipped through the hills and dales of Switzerland has assuredly been faced with Mondaine's great Swiss Railway Clock. The dark hashes, white face, and classic red second hand are all the stuff of Swiss lore, and Hans Hilfiker's clock design resonates as strongly today as it did when he first devised it in 1944. More reasonably sized house clocks followed the giant ones seen in Swiss train stations, and for a reasonable fee, you can wear one on your wrist as well. 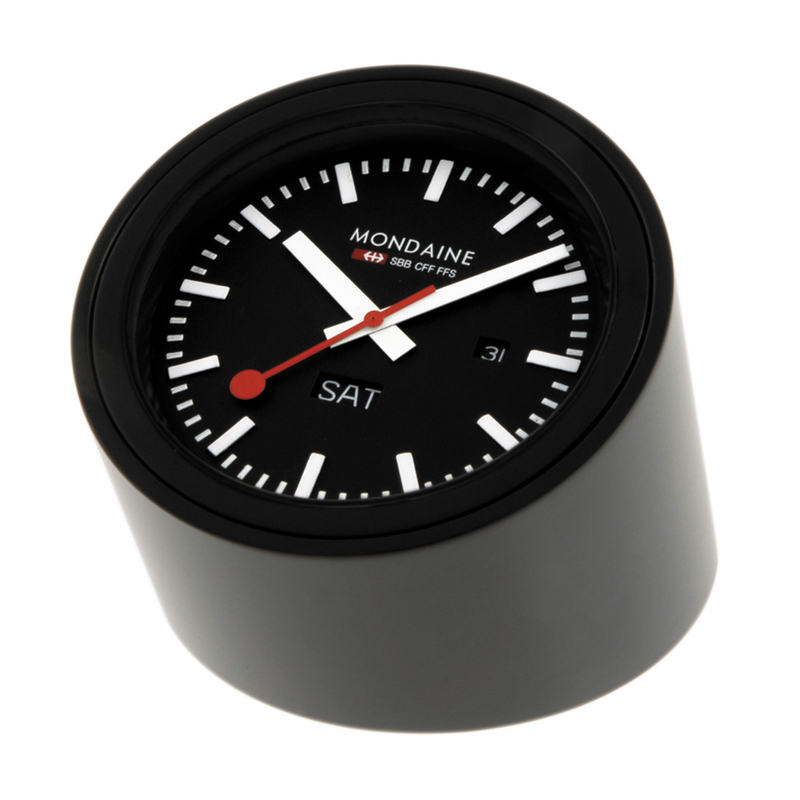 Now you can have the handy little timepiece at your desk as well. I've written about this series of watches and clocks before, and now that I've got a pair sitting on my desk, staring back at me with their efficient little faces, I'm as enthralled as ever. 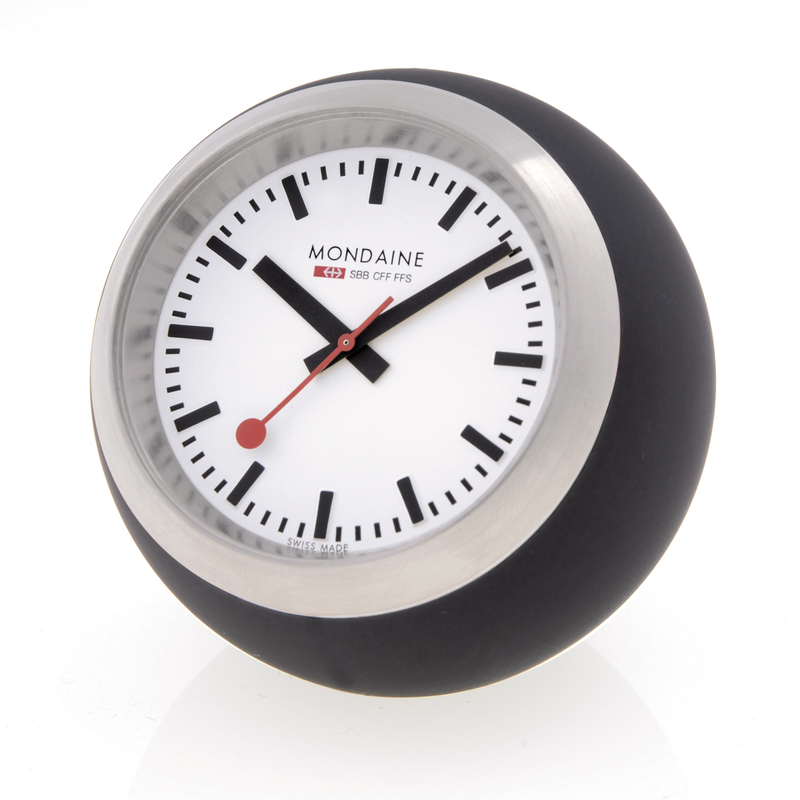 Mondaine has produced two options, the only real variant is shape, in the Tube and the Globe. The Tube is just that, and it's 50mm face would be too large on your wrist, but just right next to your keyboard. I'm most fond of the red tube for it's splash of color and nod to the iconic red second hand, though I could see keping time with the black one as well. The Globe is circular with a rubbery plastic housing and a slightly larger 60mm casing. I'll confess that I prefer the shape of the Tube, and I like that the Tube offers a day of the week and day of the month readout in addition to the time. I think what I like most though, is how neither is larger that it needs to be. Considering the clutter that most desks tend to amass (mine is no different), a tight, tidy bit of design that does it's job, makes it's function clear, but doesn't clamor for undue attention is a nice respite from the morass. Let the piles of books, papers, and editorial calendars fight it out amongst themselves. This little clock knows exactly what time it is.